There is something timeless about Seasons. They come in cycles, we learn to expect them, we understand the phenomenon, we know what happens, and yet, we look forward to each one, year after year, knowing something is special this time. And, there is something ageless about Sibylle von Olfers'(1881-1916) century-old creation which hovers on the border of reality, with striking illustrations and imaginative tale that enchant the young and adult mind alike. 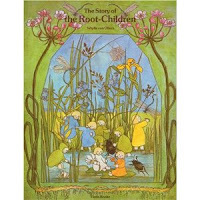 Impish little root-children are safely ensconced underground, with Mother Earth watching over their peaceful slumber, all warm and cozy, while the world above is frozen and dreary. As the snow begins to melt on the ground, Mother Earth, walking with a little candle underground, gently wakes up the root-children as Spring is coming and there's work to be done. 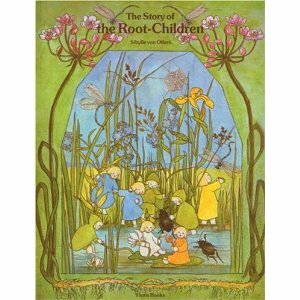 That's how the magic starts in The Story of the Root Children, originally published in German. The root-children get busy: they sew fresh clothes, they wash and brush and paint the beetles and the ladybirds and the grubs, sprucing them up for the coming season... while the warm sun is busy above ground bringing new leaves to the barren winter trees. Would the root children be ready in time? At last, it is Spring time and Mother Earth opens the door to the ground above - to the warm sunshine - letting the root-children march out in procession, following the ladybirds and the beetles, to go forth and do what they do best. Summer comes and things get transcendental. Butterflies flutter by, bees buzz, crickets chirp, even beetles risk a dance. What fun! But, Summer ends right on cue, leaving the sharp Autumn wind to blow the leaves down and call the root-children to hurry home to bed as Old Man Winter is coming. Mother Earth stands by the door that she opened not too long ago, greeting and hugging the root-children one by one as they head back underground to start their warm, cozy, deep winter's sleep. This sweet, fanciful tale with charming illustrations certainly packs an everlasting appeal. At barely 10 inches by 8 inches, this unassuming volume has only 18 pages, with each double-page spread having at most a dozen crisp sentences on one page while the other shows ethereal images of the story in progress (except towards the middle, which shows a two-page procession heading out to welcome Spring). This book happens to have a special place in her book shelf and her heart. The rare surreal tone and the dreamy illustrations transport me to the world of the root-children, making the trip back to reality that much more jarring each time. Every time. The Story of the Wind Children, The Story of the Snow Children also by Sibylle von Olfers have a similar appeal. That is some imagination and sounds wonderful. 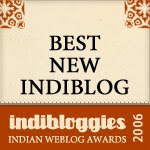 Sheela - Thanks for a nice review and introducing us to a new book as always. We would love to read this book. Will chk it out.